A St Leonards man has been jailed for attempting to smuggle an illegal migrant into the UK through the Port of Dover, according to the Home Office. 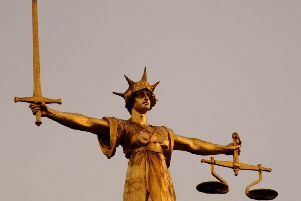 Mohammed Toofek Salih, 41, of London Road, St Leonards, was found guilty of assisting unlawful migration into the UK by a jury at Canterbury Crown Court, on Friday (January 5) after a three day trial. He was then sentenced to 30 months imprisonment, a spokesman for the Home Office said. The Home Office said a British-registered Honda Jazz driven by Salih in the early hours of Monday, June 12, 2017, was stopped by Border Force officers at the inward tourist controls at Dover’s Eastern Docks. A Home Office spokesman said: “When questioned Salih claimed he had left the UK at the end of May to visit family in the South of France. On his return journey he said he had diverted to Brussels to meet a friend. “When officers searched the vehicle they found a man hidden under the carpet beneath a folded down rear seat immediately behind the driver. Salih, a British national, was arrested and the case was passed to Immigration Enforcement Criminal and Financial Investigation (CFI) officers. During subsequent questioning he maintained that he had been unaware of the man hidden immediately behind his seat. He was subsequently charged with assisting unlawful immigration into the UK before being found guilty on Friday. Assistant director David Fairclough, from CFI, said: “Salih’s claims that he was not aware of another person immediately behind him in such a small vehicle were simply implausible. “I hope this case sends a clear message to anyone tempted to get involved with this kind of criminality – you will be caught and brought before the courts. The illegal entrant found in the vehicle claimed to be from Iraq and was passed to immigration officials, according to the Home Office. His case is being dealt with in line with the immigration rules.